"We are absolutely glad it's Jerry Brown," says Adam Keigwin, chief of staff for State Sen. Leland Yee, D-San Francisco. Had Meg Whitman won the recent gubernatorial election, he sighs, "it would have just been another four years of Arnold Schwarzenegger." Keigwin—and Yee—has every reason to be glad. A bill created by Sen. Yee that would have opened university auxiliaries' financial statements to the public record was vetoed this past September by Gov. Arnold Schwarzenegger, and with a new governor-elect on the horizon, Yee's team has a chance to introduce a third version of Senate Bill 330 in the coming months. The idea behind the transparency bill is simple. Ninety auxiliary organizations in the California State University perform functions such as food service, commercial operations and student services, existing in a not-for-profit status designed to support the university. If passed, SB 330 would have made the financial dealings, donations and contracts of these groups public under the Public Records Act. Yee's first attempt at providing transparency among university auxiliary organizations came in the form of SB 218, in February of 2009. Schwarzenegger vetoed it the following October on the grounds that publicizing the names of donors to universities and volunteers for the auxiliaries might discourage those individuals from sharing their resources. Senate Bill 330 came as a revised version, arriving on the governor's desk with bipartisan support this year. Conceding donor anonymity, the bill ensured volunteer's names would have been kept private along with the names of any donor who received no reciprocal gift valued at more than $500. Only those donors who did receive gifts or attempted to influence curriculum through their donation would have had their names made public if the bill had passed. According to a veto message released by Schwarzenegger, the bill still did not provide sufficient protection for donors who deserve a level of privacy in return for giving. "Oftentimes, these generous private citizen donors do not want to be in the glare of publicity, and I cannot support a bill that makes it more difficult for our public universities to raise private funds," Schwarzenegger said in a statement. In the North Bay, Sonoma State University is home to four of these auxiliaries, including Associated Students of SSU, the Academic Foundation Inc., Sonoma State Enterprises and the Student Union Corporation. The Academic Foundation works to gather and direct donations for projects such as the Jean and Charles Schulz Information Center and the Green Music Center. Both complexes were funded in large part by donations, and foundation president Patricia McNeill says it's the nature of local donors to want to stay anonymous. "Our community has individuals who have significant financial resources but live modest and very private lifestyles," McNeill says. "Our concern is that if donors and their private gifts are subject to the same transparency that is and should be accorded to the spending of public dollars or student fees, they may be reluctant to be as generous as they would like." According to media relations specialist Erik Fallis, the CSU had taken a "support if amended" position while the bill made its way to the governor's desk on the grounds that the language used was too vague. "We offered potential amendments that would have met our concerns while still allowing the auxiliaries to perform their functions," Fallis says. "These were not considered, so we asked for a veto when it reached the governor's office." But the bill's reach is not limited to donations. Supporters say the bigger issue exists in providing transparency for auxiliary contracts, including financial details of construction contracts, food-supply service and performer agreements. All contracts between these groups and outside companies are currently confidential. 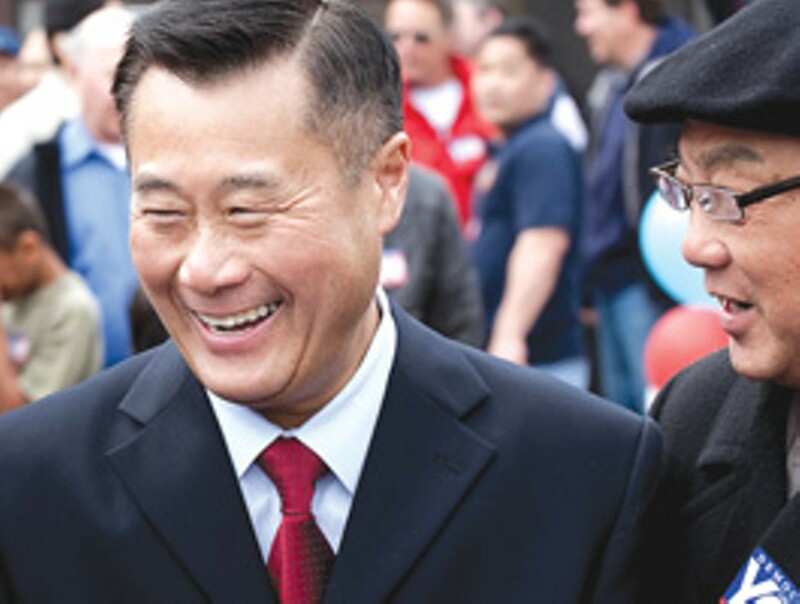 Yee's bill aims to end that secrecy. "Contracts should be uncovered," says Keigwin. "The public deserves to know. Most of these auxiliaries are fully staffed by public employees, taxpayer-funded and student-fees-funded. The public should know where their money is going." David Edwards, president of the Auxiliary Organizations Association, says the bill would negatively impact the ability for university auxiliaries to get the best-valued contracts. Currently, auxiliaries fall into a loophole of the Public Records Act to which all CSUs must subscribe. Peter Scheer of the First Amendment Coalition explains that auxiliaries function like private nonprofit groups in that they must release tax returns and audits. If the bill was passed, he says, information about contracts made yesterday would be just as available as consistently belated tax returns. Associated Students Inc. vice president Alexander Boyar says his problem with required transparency is that it would undermine ASI's ability to cut a deal with performers and speakers. "They provide major incentives and discounts because their contracts can come with confidentiality," Boyar says. Without the veil, he fears, prices would rise and control of programs would fade. "Being fully transparent would dilute the power of our fully student-managed operation." Obviously, Yee disagrees. "For a governor who wanted to blow up the boxes and whose rhetoric is filled with platitudes of open government," he said in a statement, "it is a disgrace and completely hypocritical to then veto legislation to bring real transparency and accountability to our public universities." His office plans to draw up a revised version of SB 330 for Governor-Elect Jerry Brown's approval next year.